BROMSGROVE insist they are in it to win it as they prepare for the North Midlands Cup final against Newport at Dudley Kingswinford’s Heathbrook ground this weekend. The Boars go into Sunday’s final as underdogs as they are a division below Newport, who narrowly missed out on securing a promotion play off place in Midlands Premier. But Bromsgrove have already produced one upset by defeating Birmingham & Solihull, the Midlands Premier champions, in the semi-finals and director of rugby Dan Protherough hopes to end an encouraging season by winning the county cup for the fourth time but first since 2010. This will be the third time that Bromsgrove and Newport have met in the North Midlands Cup final. Bromsgrove won the first meeting in 2001 but Newport took their revenge in 2011 when they won the county cup for the first time. “It’s a cup final and it’s the chance to end the season with a trophy,” Protherough said. “We’ve trained reasonably intensively over the last two weeks and we are going there to give it our best shot. “We know that Newport have a big, old side and they only just missed out on second place in the league above us so it’s going to be a challenge for us. “But we beat Birmingham & Solihull in the semi-finals in horrible conditions. “They had a few players missing but so did we and we didn’t look like a team from the league below. “Playing at level five is the next step in our ambitions. “That’s where we were last season but if you do go up you have to have things off-the-field in place and you have got to be more consistent than we have been this season. “But the one thing that we have said about Sunday’s final is that we won’t die wondering. “We are going to go all out to try to win it. 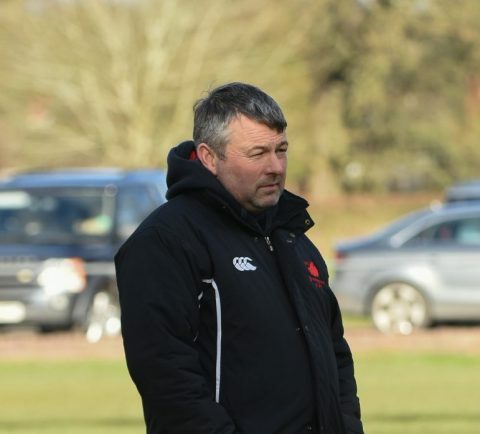 Protherough will not be at the county final because he is also head coach of the Midlands Under-20s side who are involved in the Midlands Counties Under-20s Divisional Festival in Derby over the weekend. Former Worcester and England Sevens flanker Jake Abbott will take charge of the side in Protherough’s absence. But Abbott will not play because he is sidelined by a fractured jaw and centre Ed Spalding is also missing through a knee injury.